A native to California, Tim’s first ten years of church-planting ministry started as the Lead Pastor of Reality LA in 2006, a thriving church in the heart of Hollywood, CA before moving to the UK in 2016. These churches are a part of the Reality family of churches, a movement committed to relational church planting and serving the broader body of Christ. 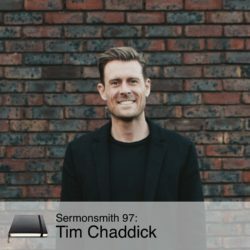 Tim’s first two books, Better: How Jesus Satisfies the Search for Meaning and The Truth about Lies, were projects which came from lessons learned while living and pastoring in Los Angeles. Pastor Tim and his wife Lindsey care deeply about the ministry of the local church in major urban centres and seek to devote themselves to helping churches begin and flourish in their mission to share and reflect the gospel.